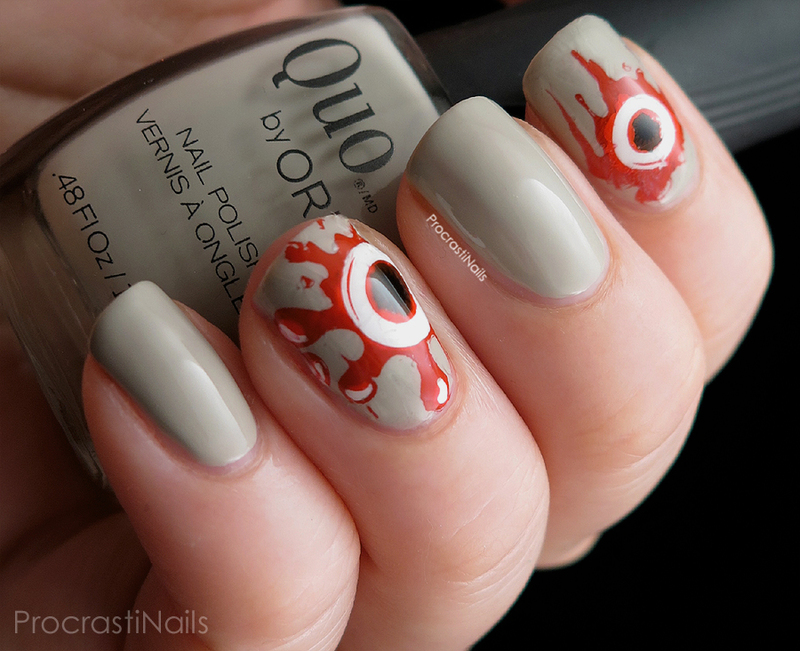 These nails started off with three coats of Quo by ORLY Clean Sweep which is a soft dove grey. I then used Bundle Monster plate BM-H06 (which was a surprise Halloween gift for me from NailPolishCanada.com!) to make some stamping decals with Konad Red Stamping Polish, Sinful Colors Snow Me White and Sinful Colors Black on Black. Thanks for visiting! Sweet (bloody eyeball-less) dreams! Wow, those are spoopy indeed ;) ! I love them but they seriously scare me at the same time! These are awesome!!! As someone who isn't into blood and gore, nails don't bother me one bit!!! I totally loved that you used a grey for a base. I'm not sure what I'm going to do on Friday yet! 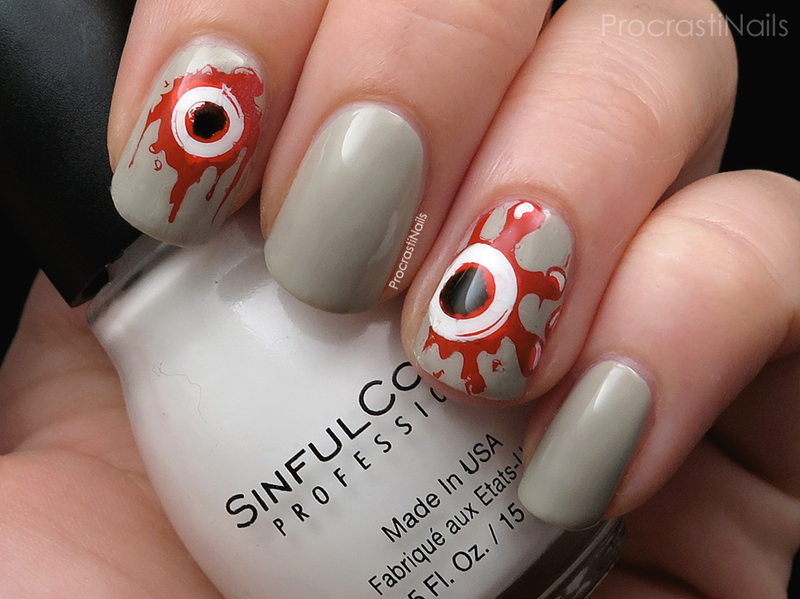 I love the creepy eyeballs!